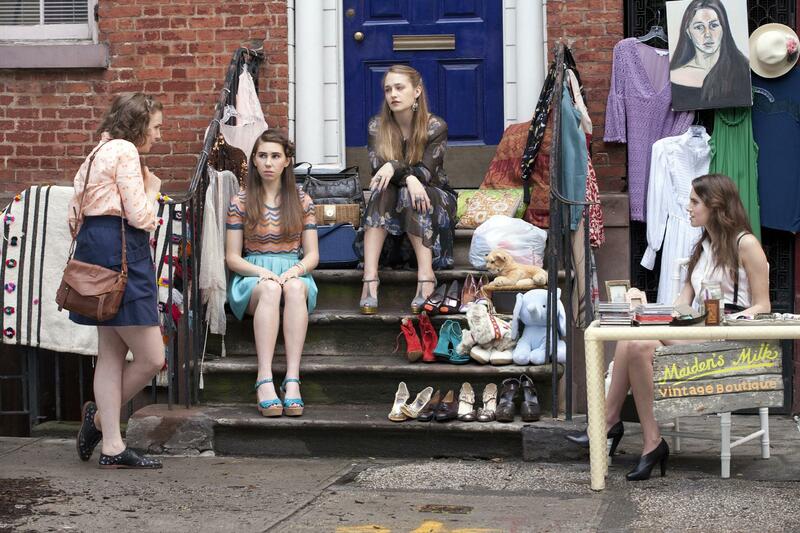 HBO Girls diversity: A black girl’s perspective on living among Brooklyn hipsters. It sure felt like it. I didn’t notice any women awkwardly avoiding and/or arguing with their exes, as frequently happens on Girls, but the two of us did feel like extras on Lena Dunham’s show, placed in the background of the party as an example of our generation’s diversity. This, clearly, was a Season 2 episode, not an installment from the controversial Season 1. During that initial run, Dunham was criticized for creating an imaginary New York City almost completely devoid of minorities, save for those in domestic roles. Some claimed that Girls was attempting (and failing) to represent everyone—even though Hannah made clear in the very first episode that she aspires to be “a voice, of a generation.” That’s partially why I never fully understood the outcry hurled at Dunham over the vanilla world she created. (If anything, the vitriol should be hurled at network honchos who greenlight projects with only white characters in mind.) It’s also why I was more or less indifferent to the news that Dunham planned to address the criticism head on in Season 2 (which she did, brilliantly) by casting Donald Glover as her boyfriend, and subsequently unsurprised when he disappeared after only two episodes. I love living in Brooklyn, but when I go out and about in certain neighborhoods, I am well aware of when I don’t quite fit in. It’s not purely a race thing—there are “blipsters” like Glover. But many times I’ve been that minority in the background while the Hannahs and Marnies played out their dramas and flirtations around me. At a predominantly white hipster venue in Brooklyn, strangers have touched my hair, which is usually big and natural, without asking. (This happens more often in Brooklyn than it has in any other city I’ve been to.) They’ll compliment it, of course, because it’s so cool and “different,” even though Brooklyn is full of black women whose hair looks just like mine. It’s just that most of those women don’t show up to that venue, or to the parties like that one in Bushwick. Girls comes up often in these places, either because someone realizes that this moment happening right now is “straight out of an episode of Girls” or because a couple fans of want to discuss some storyline or character. No white fan of the show has ever brought up with me the way the series handles race. Should I worry about whether or not I’m accurately represented on a show I don’t even care that much for? No, and I don’t. More often than not I can still have a great time hanging out among the hipsters, and there are plenty of places in Brooklyn that look nothing like Girls. But the insular world that Hannah, Marnie, Shoshanna, and Jessa continue to inhabit does exist. The show, for better or worse, is absolutely realistic, and has been from the beginning, even if it doesn’t speak to everyone’s Brooklyn experience. Sometimes I wish it didn’t speak to mine.